Mitsubishi has announced its latest offers for early 2014. Deals include an affordable winter health check, as well as expanded Motability offerings and affordable monthly payments on Outlander and L200 models. There’s also a £5000 off the price of a Shogun and a 0% finance deal on the Mirage. Current owners of Mitsubishi models can get a winter safety check for £9.99 at a participating Mitsubishi dealer. Additionally anyone who has an invoice for work carried out at a Mitsubishi dealership can enter a prize draw to win £1000 of Marks and Spencer vouchers. Those who wish to buy a new Mitsubishi can benefit from a number of new offers for 2014. The updated ASX, now offered with an automatic transmission, is priced from £14,999 and we’ve reviewed it – click here to see what we thought. Furthermore Mitsubishi is offering the L200 pick-up for £189 per month and the Outlander for £249 per month including three year’s free servicing. 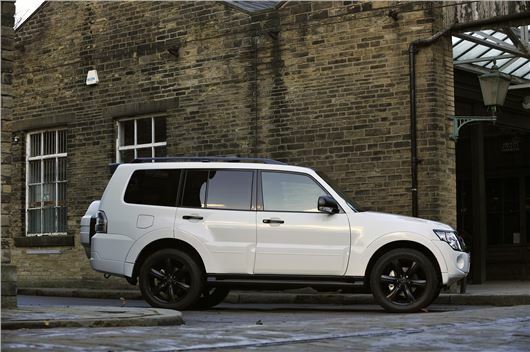 The Shogun is available with a reduction of £5000 off the list price and can be financed with 0% APR. Finally the Mirage city car is offered with 0% finance over three years and three years free servicing, and there’s an expanded list of Motability deals. For more information on all of the latest Mitisubishi deals visit the Mitsubishi website.